If you've ever wondered what it takes to run a film festival, ask the masterminds behind this year's Festivus Film Festival, running Jan 13-16. In their fourth year as curators, Denver locals Johnathan McFarlane and Tim DeMasters have things pretty figured out. But Festivus would not have been possible if they never toured the country with their documentary, Project Canada. Their festival circuit experience had its ups, but it also had its downs. Both were in their mid 20s when they went on the road with their film, excited to finally show audiences the dream movie they'd made. "We went to our screening [in California] and we were the only people," recalls Johnathan. "The two of us had flown out on our own dime, paid for our own hotel and for what? For nothing. We could have sat in a room by ourselves at home." That experience was something to forget. But they remembered it, and when they came back to Denver, they decided to have a proper screening. They booked a theater, advertised it, and people showed up. They discovered it was something they could do, and do it right. "We saw that niche was there to be filled," says Tim. "The timing was right, the city was right." They knew how to put audiences in seats. So they drew up a plan. They would start their own film festival. The idea began on a piece of scrap paper. Johnathan wrote down numbers. He showed it to Tim, and convinced him they could be profitable in the first year. "He upsold me pretty easily," Tim says, laughing. Johnathan doesn't deny it. "I totally did. And of course that wasn't even remotely what happened. We both lost money out of our own pockets the first year, which is actually pretty standard, but we didn't go into it thinking that was going to happen." But together, along with their marketing and branding guru, Matt Gillespie, they liked what they were doing, and they knew they were onto something different - from the programming, right down to the logo. "We got really blessed with having a really talented graphic designer help create our image," says Johnathan. 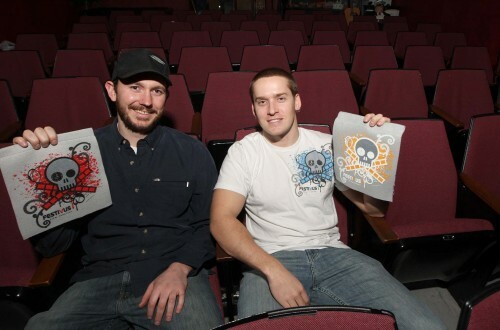 Their logo is a skull with film reel cross bones; their name was inspired by a Seinfeld episode. It would be impossible to mistake it for another local film festival -- the Starz Denver International Film Festival (SDFF). They're the oldest, and the biggest. But that doesn't intimidate Johnathan and Tim. "SDFF have been around for a long time," says Johnathan. "But they tend to program the higher budget, Hollywood-type films. We don't have a problem with that film festival, they play some great movies I like to go see, but we don't compete with them because we play a different type of movie and have a different demographic." Listening to Johnathan and Tim talk about it, they sound like they've got it all figured out. The reason for much of their success can be traced back to their other jobs. Tim's experiences as an environmental consultant taught him how to juggle multiple projects. With no staff to help coordinate screenings during their first year, every facet of organizing the festival fell on their shoulders. And Johnathan's stint in the news business also offered important lessons for meeting deadlines. "In the news business, if you don't make your deadlines, you get fired." But there's another experience they've carried over to help run the festival. Project Canada should have been renamed Project Festivus. From their experiences on the circuit, they vowed to improve the way filmmakers are treated at festivals -- by treating them well. It seemed like common sense, which wasn't that common on the festival circuit. That's why Johnathan and Tim reached out to filmmakers on the internet, and asked for their opinions on what they would like to see from a festival. At Festivus, they get to know the filmmakers personally. They assign them local liaisons who know the best places to eat, and show them a great time while they're in town. They've created a festival that respects filmmakers, and rewards them for their hard work. Perhaps that's why Moviemaker Magazine recently named Festivus one of the coolest 20 festival destinations in the country. Recently Johnathan and Tim sold distribution rights to a Canadian company for Project Canada. But instead of making more films, they want to continue bringing quality films to Denver. Their plan is to add programming throughout the year that focuses on genres like horror and documentaries. With their latest project, the Laugh Track Comedy Festival, they've already found a venue for comedy. "We want to increase the quality of independent cinema that comes to Denver and increase the quality of attendance," said Tim. "We're trying to bring it up and ride the wave with it." With theaters like the Bug and the Oriental Theater, Denver already offers historic venues for a burgeoning film scene. For many audiences, Festivus is their first contact with these locations. Johnathan says, "People who come to Festivus and have been in Denver their whole life are still like, 'wait, where is that theater?'" The theaters are here. The audiences are here. There's no telling where it goes from here. "Being in a cool city at the right time to have those venues, we saw those opportunities and pulled the trigger." 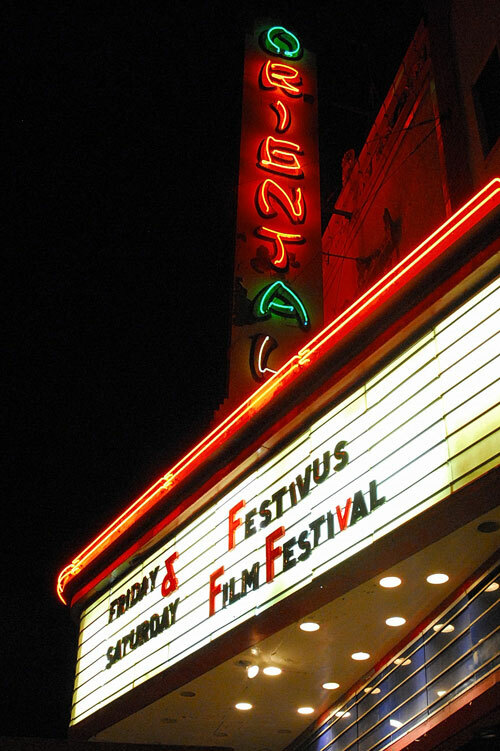 Festivus Film Festival runs Jan 13-16. 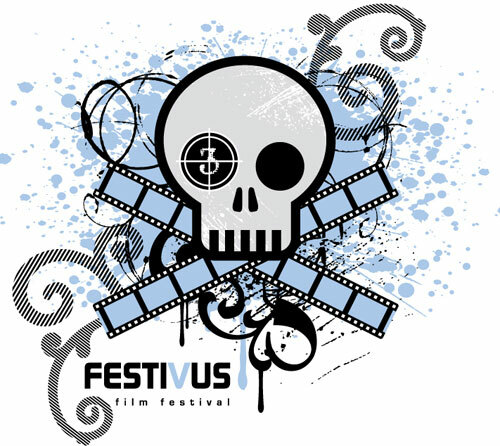 For tickets, and a complete schedule, visit www.festivusfilmfestival.com.